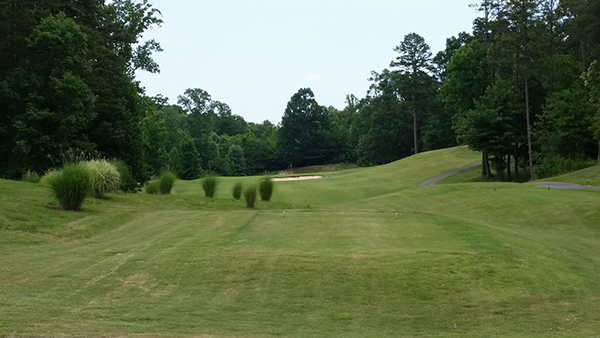 River Oak’s starting hole is a driveable Par 4 for long hitters willing to take a risk. A large bunker protects the front right of the green. 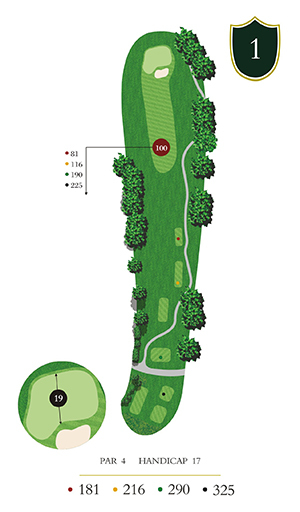 Best to play to the left side of the fairway and avoid going long at all costs.